These are screenshots from the upcoming Game of Thrones RPG. You can tell this because they all say "Game of Thrones" in big letters. If not for those labels, would you have any idea what they were from? Or would you think, "Oh, great, another generic fantasy role-playing game."? As a huge fan of both George RR Martin's book series and the HBO adaptation, I'm coming into this thing with a healthy dose of skepticism. The combat looks kinda cool, but I dunno. Hopefully the game lives up to the high expectations most people have for this franchise. 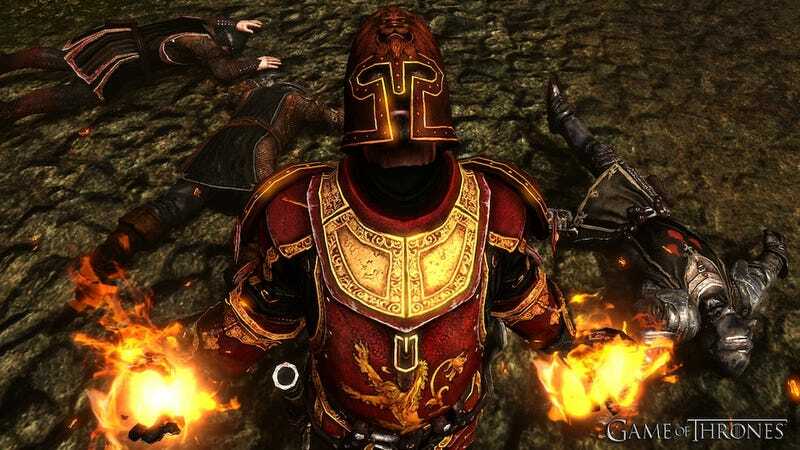 The Game of Thrones RPG is slated for a May 15 release on Xbox 360, PlayStation 3, and PC.